IBM first tried to make people "Think" using a pop-up art installation in New York, but now it's switched to something rather more traditional: a tablet app that is available free on iOS and Android. It lays out the timeline of scientific advances like the metal detector, airplane and telescope, and contains a ten-minute HD film on tech innovation, to boot. IBM claims the app will be used in schools to create lesson plans, so you might want to grab it (see coverage link below) before your kids start clueing you in on technology -- even more than usual, that is. 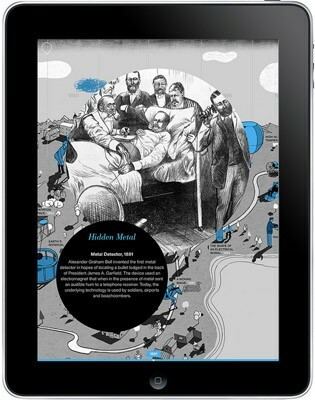 IBM's Think app brings history of innovation to iPad and Android tablets originally appeared on Engadget on Fri, 27 Jul 2012 15:08:00 EDT. Please see our terms for use of feeds.